Observation - Another JLB moth - UK and Ireland. 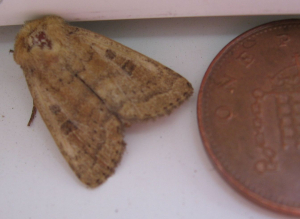 Description: Another moth spotted in my office (Jennie Lee Building). This one was pretty quiet and sleepy. Another moth spotted in my office (Jennie Lee Building). This one was pretty quiet and sleepy.